Three National Pan-Hellenic Council sorority chapters briefly inhabited houses on campus in and before 2007 but haven’t had representation on Sorority Row since the Residential College was built. 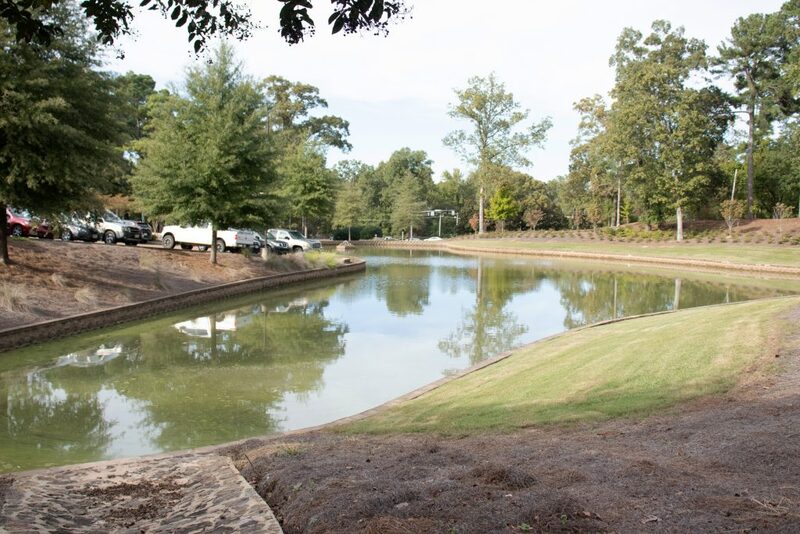 The Theta Psi Chapter of Alpha Kappa Alpha, Tau Eta Chapter of Zeta Phi Beta and Lambda Sigma Chapter of Delta Sigma Theta sororities lived on Sorority Row in three former on-campus faculty houses, which stood where the east residential parking lot currently is near Silver Pond. After approximately 70 years of being on campus, those faculty members’ living spaces were relocated off campus in 2007 to a space called Community Green, an affordable housing development on Molly Barr Road for UM faculty and staff. Assistant Provost and Associate Professor of Mathematics Donald R. Cole said planning for the Residential College began in the late 2000s. Cole said it took time to secure funding and begin construction on the new Residential College, and then-Vice Chancellor for Student Affairs Thomas Wallace suggested three of the 21 empty faculty houses could be used for NPHC sororities until Residential College construction began. Sumayia Young, President of the Theta Psi Chapter of Alpha Kappa Alpha Sorority, Inc. said a common place is a necessity for every Greek organization to help unify the chapter and to provide a space for all members to meet. According to Young, it’s more difficult for an NPHC organization than it is for an Interfraternity Council or College Panhellenic organization to raise money for a house due to the smaller chapter sizes, less expensive dues and the limited alumni base for donations. Last week, the university’s Epsilon Zeta chapter of Kappa Alpha Theta announced it would not be returning to campus in the spring 2019 semester. UM officials have yet to announce plans for the future of the large house on the corner of Rebel Drive and Northgate Drive. “When we found out the news about Theta we thought this may be our opening, but then we have to deal with the dues and fees that go along with the house,” Young said. When the NPHC sororities had to move out of the houses, sorority members and the community were upset, and those feelings still linger in some people’s minds, Cole said. Some Northgate apartment property was offered to the groups, but Cole said the sorority chapters declined the offer because the properties were not as prominent or as versatile as the space they had formerly occupied on campus. Doctor said NPHC chapters are extremely engaged and involved within the community and consistently host impactful programming, ranging from career development workshops, educational forums and social events that allow the community to see each chapter in a positive light. Young said her chapter still has hopes for a future with an on-campus house and believes it would have a positive impact on the University of Mississippi.